During World War I, and especially in 1916 and 1917, Madeira experienced a period of particular dependence on the outside world in which insecurity on the Atlantic navigation further increased the isolation of the archipelago and augmented its difficulties of supplies. 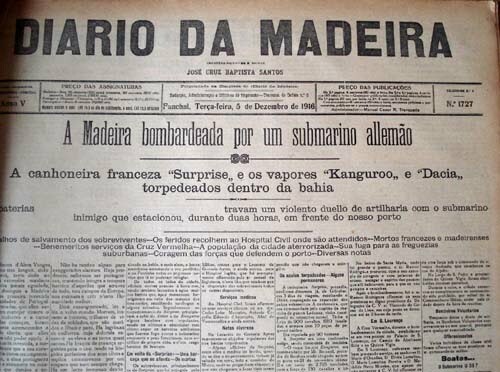 Diário de Notícias (Madeira), and Diário da Madeira, the main newspapers at the time, played a key role not only informing the public of the German attacks, as well as triggering a staunch regionalist sentiment, by encouraging the recovery and strongly criticizing Germany. In this paper we analyze the news coverage given to the Bombing of Funchal on the basis of an evolutionary perspective of the implementation of journalistic discourse in Portugal: the use of the discursive basilar principle of inverted pyramid writing. Beginning by contextualizing the emergence of Madeiran press on 19th century and by briefly describing the historical event, this paper stresses that, in the context of assumed political revindications by the press, we face the existence of a journalistic discourse where the judgments of an intellectual-journalist are present even though the influence of the anglo-American writing in inverted pyramid is diminished. 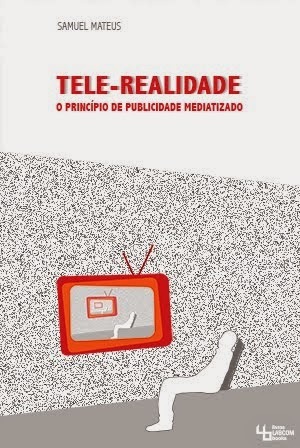 Media Rhetoric: how mass communication persuade us, edited by Samuel Mateus (Madeira University). Media Rhetoric: how mass communication persuade us aims to provide an insightful, easy to understand, approach to an emerging field. It is committed to assume a multidisciplinary viewpoint and summon up developing domains within contemporary rhetoric in order to offer the reader a full assessment of Media’s persuasive dimension. 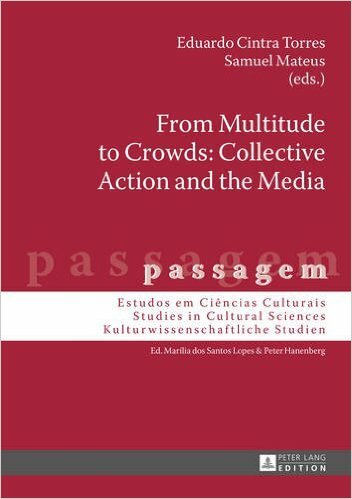 Also, it aims into prominence the role of Rhetoric in the configuration and practice of Media studies evidencing new possibilities of Media in today’s rhetoric and on the persuasion processes. The edited book will present the state-of-the-art research in Media Rhetoric providing a useful (conceptual and methodological) tool to approach a field who has revealed a great dynamic in recent years. Hopefully, the book will provide a starting point to the study of the many forms by which media takes us to think, feel, and act. Media Rhetoric: how mass communication persuade us calls for a comprehensive collection of essays by international scholars and media rhetoric practitioners, opening up a space for dialogue between the academy and industry. This interdisciplinary book will be informed by fields including rhetoric, digital rhetoric, visual rhetoric, advertising rhetoric, captology or procedural rhetorical. Together they can offer an insightful perspective on the manifold expression the media persuasion takes today. Proposals should be sent by email (in a PDF document) to the Editor by March 1st, 2019. They should include an abstract (250 words) and a short contributor bio (one paragraph including institutional affiliation, position and recent publications). Please note that the submission date for accepted papers is October 4th, 2019. The book is due to the end of 2020. 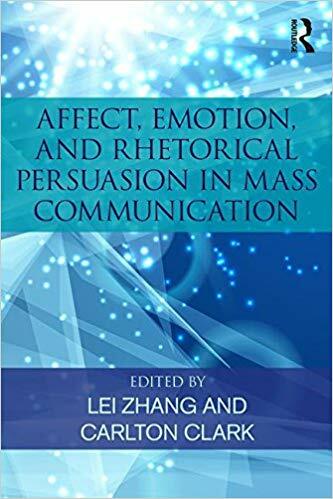 This volume examines the interplay between affect theory and rhetorical persuasion in mass communication. 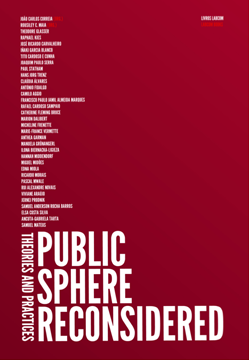 The essays collected here draw connections between affect theory, rhetorical studies, mass communication theory, cultural studies, political science, sociology, and a host of other disciplines. Contributions from a wide range of scholars feature theoretical overviews and critical perspectives on the movement commonly referred to as "the affective turn" as well as case studies. Critical investigations of the rhetorical strategies behind the 2016 United States presidential election, public health and antiterrorism mass media campaigns, television commercials, and the digital spread of fake news, among other issues, will prove to be both timely and of enduring value. 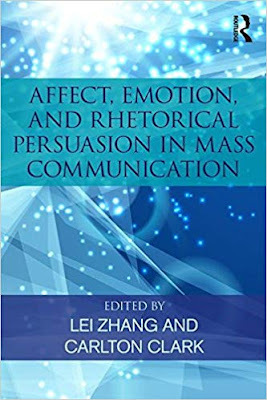 This book will be of use to advanced undergraduates, graduate students, and active researchers in communication, rhetoric, political science, social psychology, sociology, and cultural studies. 10. Disgusting Rhetorics: "What’s the Warts That Could Happen?" Jaimee Bodtke and George F. (Guy) McHendry, Jr.
11. 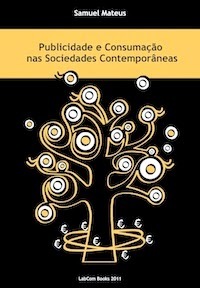 Aestheticizing the Affective Politics of "If You See Something, Say Something"
The Contribution of Communication Theory to Social Imaginary's Theory has just been released in ALCEU, vol.18, nº36. 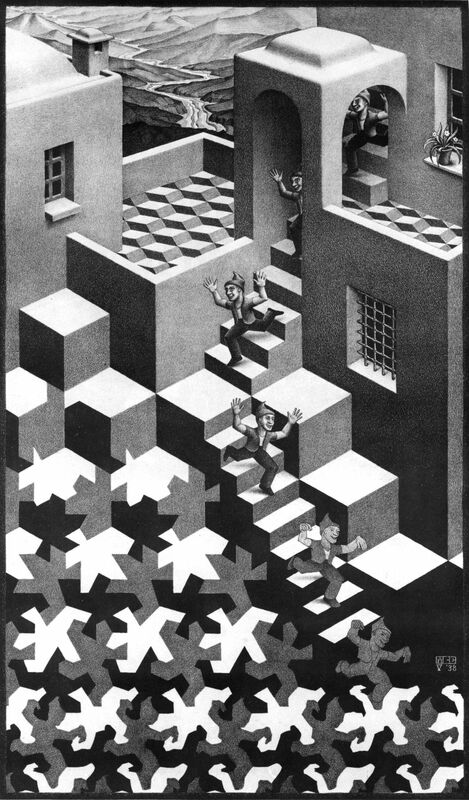 communicational perspective on the social imaginary. Social Imaginary. Communication Theory. Imaginal. Publicity Principle. 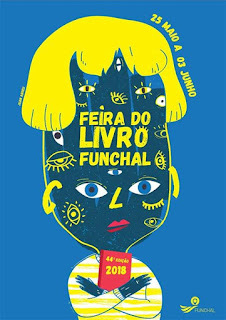 Next Tuesday, May, 29th 2018 I will be presenting my portuguese ebook "Introduction to Rhetoric in 21th century" in Funchal Book Festival 2018. My latest ebook is just released! Published by LABCOM Books, it is written in portuguese. empolada e oca, a Retórica é essencial na vida democrática e pilar indiscutível da sociedade civil. na Retórica Digital, seja ainda na Retórica do Silêncio. o Sistema Retórico; Retórica e Comunicação; os Campos de Estudo da Retórica na Actualidade. Comunicação Digital ou Design de Jogos. Scholars of the World, Unite! I welcome scholars as well as researchers and phd students. I am available to build synergistic theoretical and methodological frameworks in order to build inter-disciplinary approaches to Social Sciences, particularly to setting up up common projects on Communication and Media Studies. 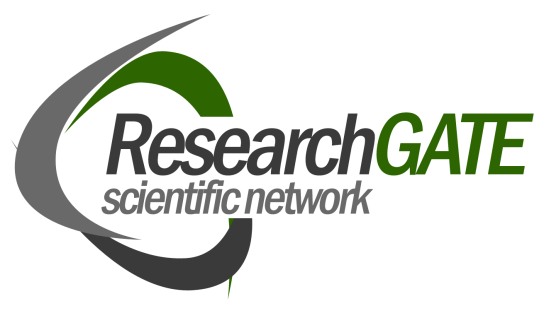 If you have a topic or a research investigation you would like to discuss, please, contact me (sammateu@gmail.com). I am also open to supervising thesis. 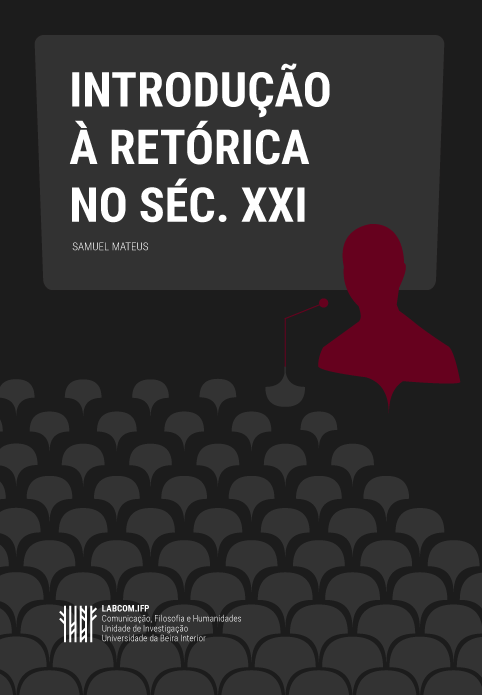 I have created SAMUEL MATEUS PAPERS to promote some of my papers available for public access, and also information on conferences and courses related to Communication, Publicity and Modernity. Reflexão sobre o princípio de publicidade e as relações com o consumo.